If you ever feel like you're "just" a truck driver, think again. The impact of your work in the trucking industry may not feel significant when you are sleeping in your rig, navigating congested roads or missing your family, but truckers may, quite literally, be drivers of the American economy. Every year truckers transport more than $700 billion worth of goods across the country and bring in 84 percent of all commercial transportation revenue, according to Big City Driver. From food to clothing, electronics, construction supplies and medications, truck drivers get items people need where they need to be, and at significant sacrifice. 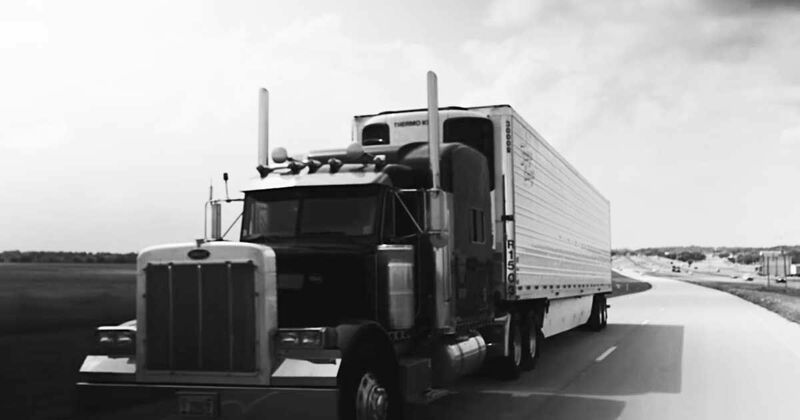 Tex Crowley posted a video on YouTube encouraging truck drivers who spend so much time away from their families. "You put in countless hours and miles away from home missing those who matter the most. Many of those hours sitting and waiting ... unpaid. You get yelled at by a shipping clerk because you didn't follow their convoluted check-in procedure to a 'T.' Through tired eyes, you hope to find the last parking spot at the end of your day. Are you just a truck driver? No. You are the lifeblood of this nation." With more than 17,000 views in just over a month, the video is striking a chord with drivers and their families, for good reason. "Without the trucking industry most (if not all) of the supplies that we take for granted would likely not exist. And yet, trucking has one of the highest turnover rates due to various challenges such as long work hours, long time away from home, health issues etc.," according to Big City Driver. The next time someone calls you "just" a truck driver, take a few minutes to explain that the big screen television they enjoy watching while you're hauling another load, and the food they cook on the grill while you wait for a late delivery, is all thanks to drivers just like you, who sacrifice their time, energy and sometimes health, to make sure stores have what they need for their consumers.